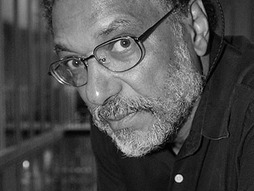 Daniel Pauly is the principal investigator at the Sea Around Us Project, which studies the impact of the world's fisheries on marine ecosystems. The software he's helped develop is used around the world to model and track the ocean. Kitchener-Waterloo - Desire2Learn Incorporated, a leading provider of enterprise teaching and learning platforms, has launched Edge Challenge 2012  a competition that challenges developers and students aspiring to be developers to shape the future of education by building apps that improve the experience of teachers, students, and administrators. Waterloo  Canoe making, a soup-and-fry bread lunch, a hypnosis show and “drumology” are a few of the events taking place during Aboriginal awareness week, March 12 to 16 on Laurier’s Waterloo campus. “This is our 2nd annual Aboriginal awareness week and we are excited to bring the events back,” said Melissa Ireland, Aboriginal student support coordinator at Laurier’s Waterloo campus. Guelph - The Co-operators has enhanced the accessibility of its website for Canadians with physical disabilities. Through a collaboration with eSSENTIAL Accessibility, The Co-operators is taking part in a Disability Community Involvement Initiative, launched in association with leading advocacy groups for the disabled, including March of Dimes Canada. As part of the initiative, assistive technology is now available for download at www.cooperators.ca. Waterloo - Neruda Productions presents three nights of World Music guaranteed to awaken the restless souls of Waterloo to the delights of spring. Starting with the masters of reggae, rock steady, and afro-beat fusion, eKhaya will play The Jazz Room on April 19. Kitchener-Waterloo - Hurt So Good Personal Training and Massage Therapy is offering classes during the month of April in support of the 2012 Kitchener-Waterloo MS Walk. Butts and Gutts, and Bootcamp classes are among those offered at a discounted rate of $12 per visit, and all proceeds will go towards the 2012 KW MS Walk. Amersfoort, Netherlands - Descartes Systems Group, a global leader in uniting logistics-intensive businesses in commerce, has announced that Leen Bakker, a leading home furnishing retailer in the Netherlands and Belgium, is implementing WinRoute, part of Descartes' Routing, Mobile, and Telematics suite, to optimize its retail distribution operations. Kitchener-Waterloo  The Social Planning Council of Kitchener-Waterloo’s “Youth Grand Trunk” offers games, crafts, athletic equipment, and craft supplies for children from three to 15, and is available, free, to any community group in the area. “It’s an ideal resource to add fun to any event,” notes Allison Dunning, the volunteer overseeing the Youth Grand Trunk project at the Social Planning Council of Kitchener-Waterloo. Waterloo - The line-up of stars who will perform at the New Hamburg Live! at the Jazz Room event, May 3, has been set, and it now includes a performer who was a highlight of the first two seasons of New Hamburg Live!  blues and bluegrass legend Ken Whiteley. Toronto - The newest player in the regenerative medicine (RM) field in Canada is taking a collaborative approach to commercializing stem cell and biomaterials products. The Centre for Commercialization of Regenerative Medicine (CCRM) has created an industry consortium that is working together to address real-life bottlenecks in their RM product pipelines. Cambridge  Coquette is gearing up to head to Las Vegas for the International Lingerie Show March 26-28 held at the Rio Hotel and Casino.